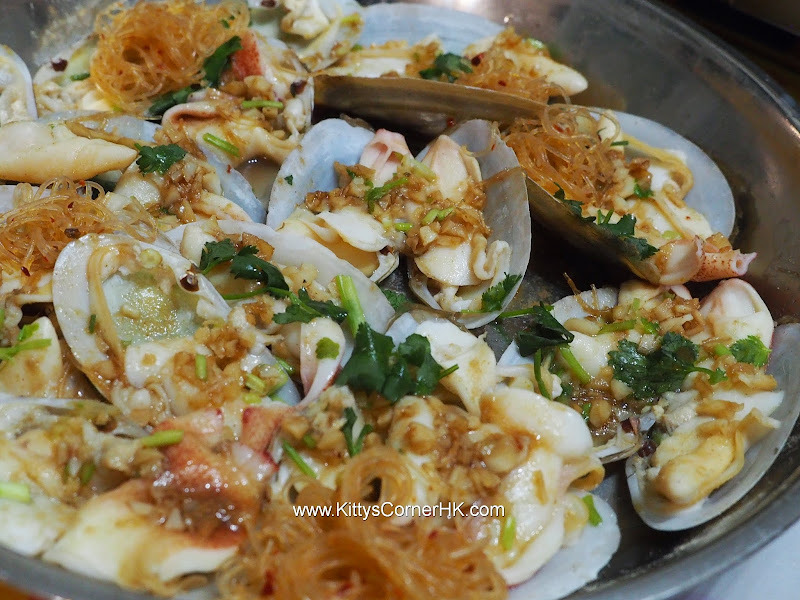 Fresh and yummy seafood dish, one of the Chinese dishes that my family likes ! Rinse geoduck clams. 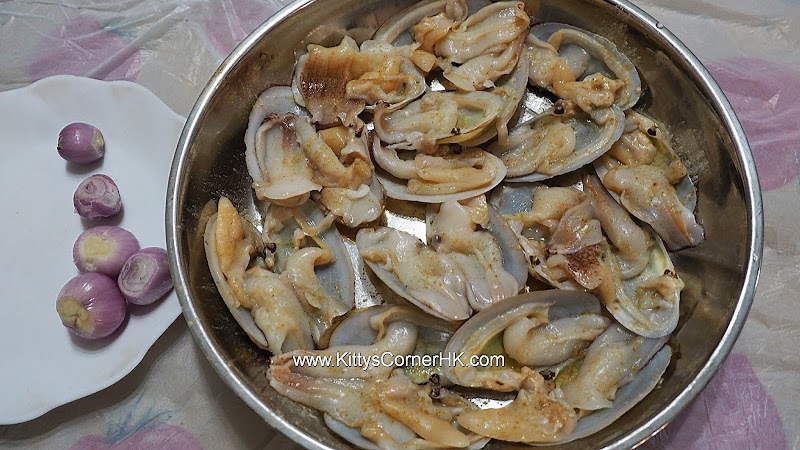 Dry clams with paper towel, sprinkle pepper. 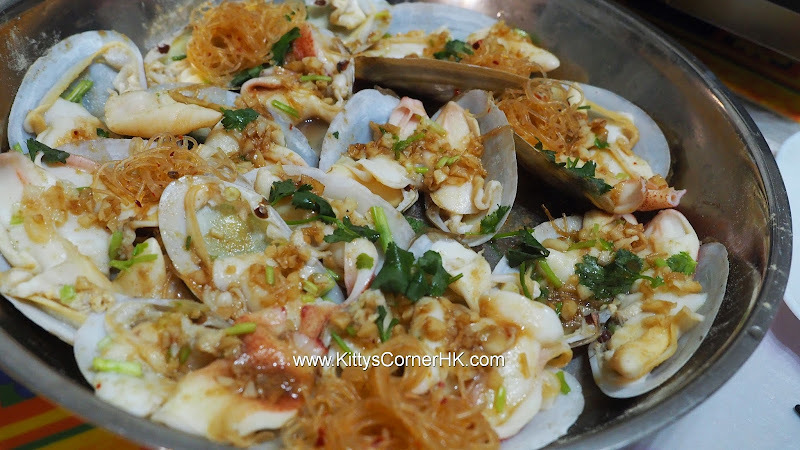 Mix little oil with minced garlic and fried garlic then spread on clams. Dice chili (optional), spread on clams. Steam over water for 3 minutes. 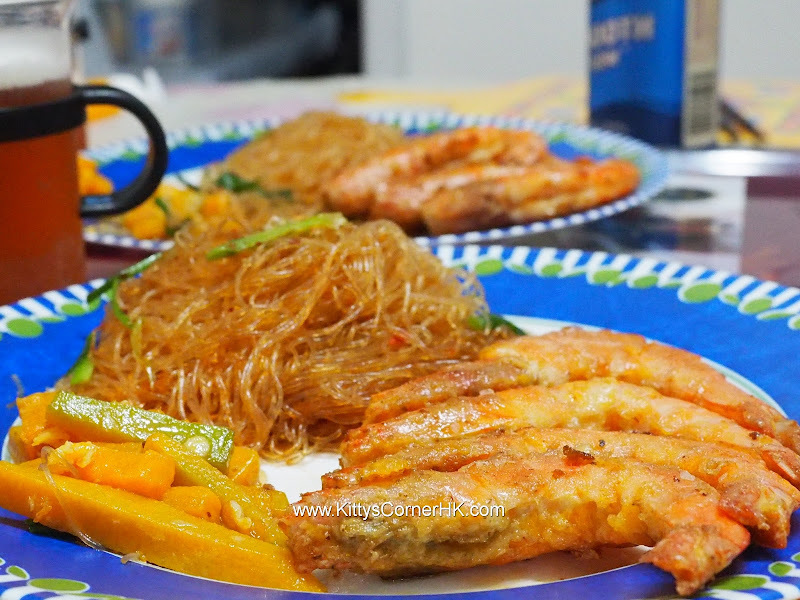 Drizzle with a little soy sauce and cooked oil. Garnish with parsley.